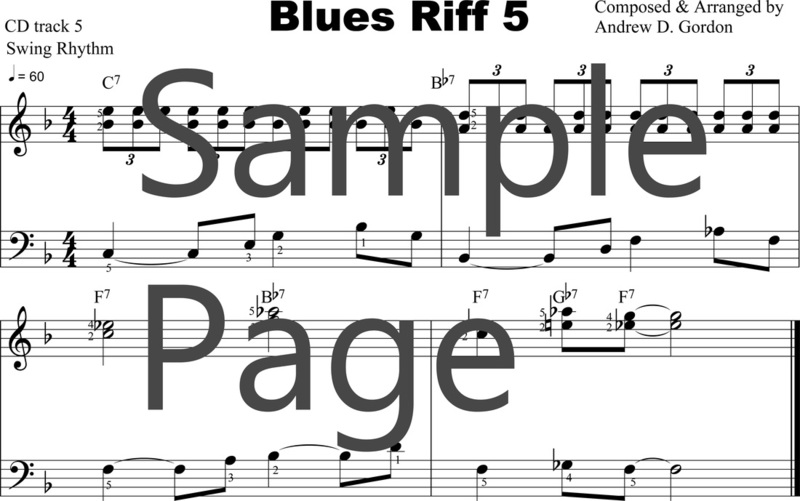 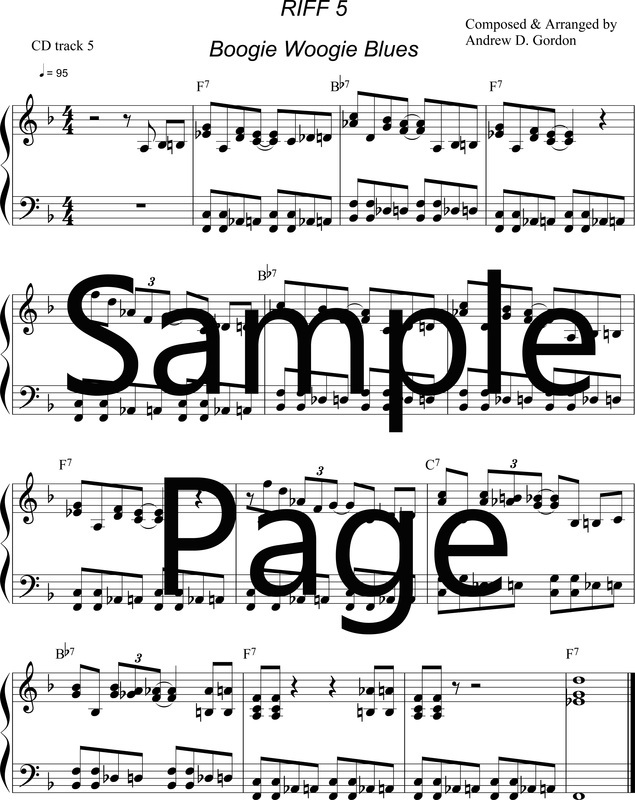 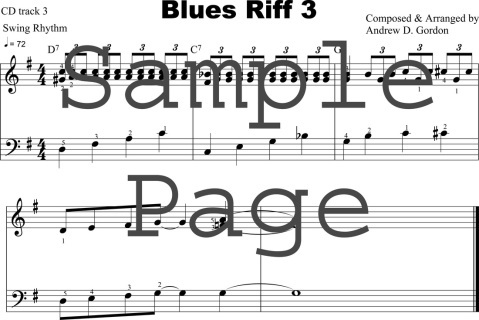 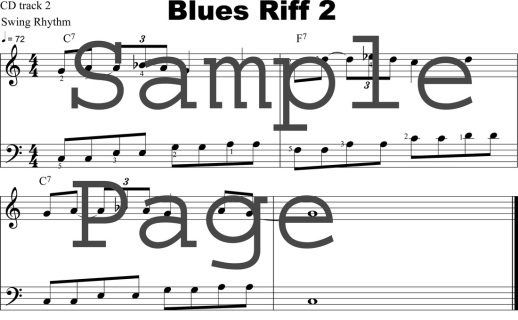 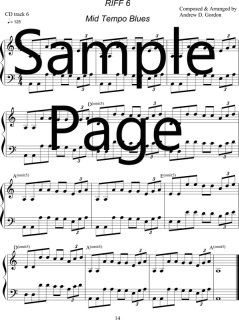 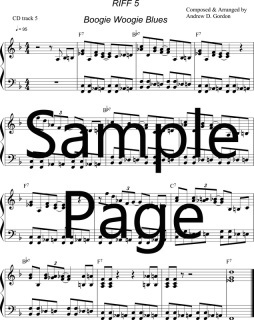 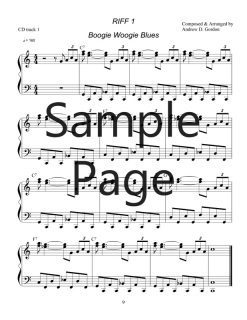 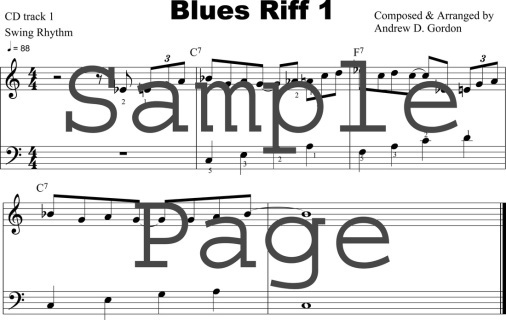 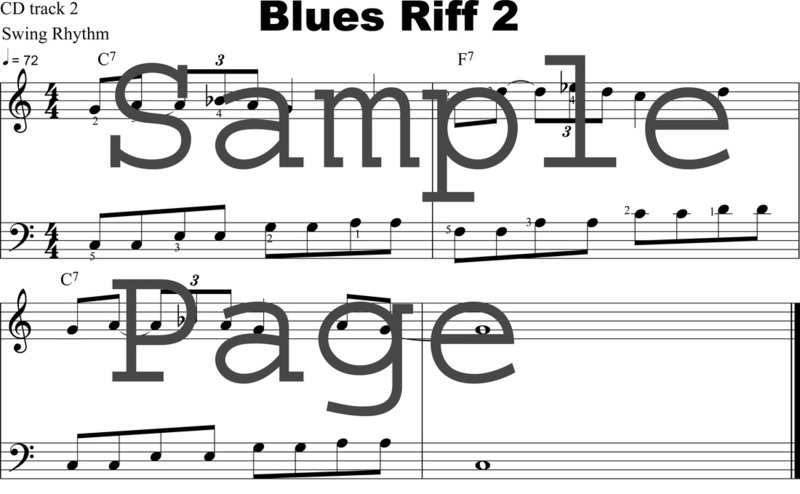 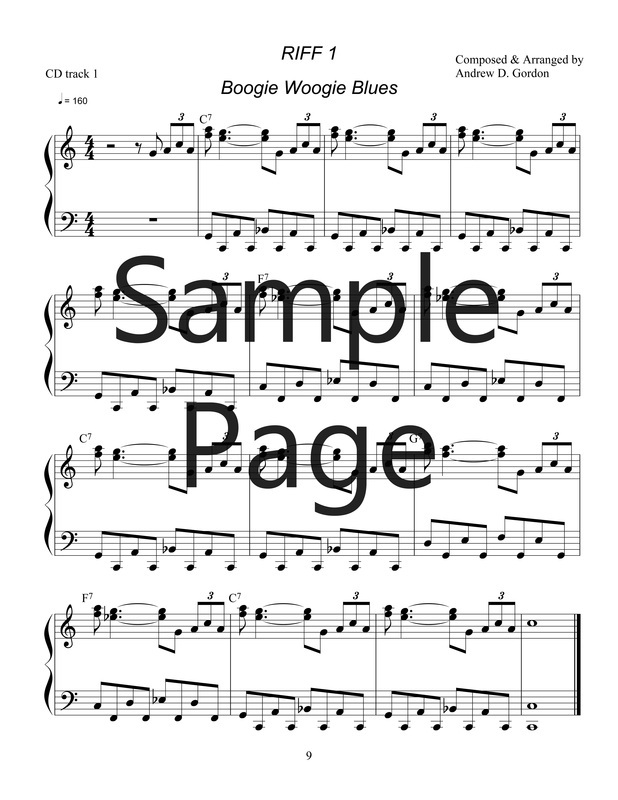 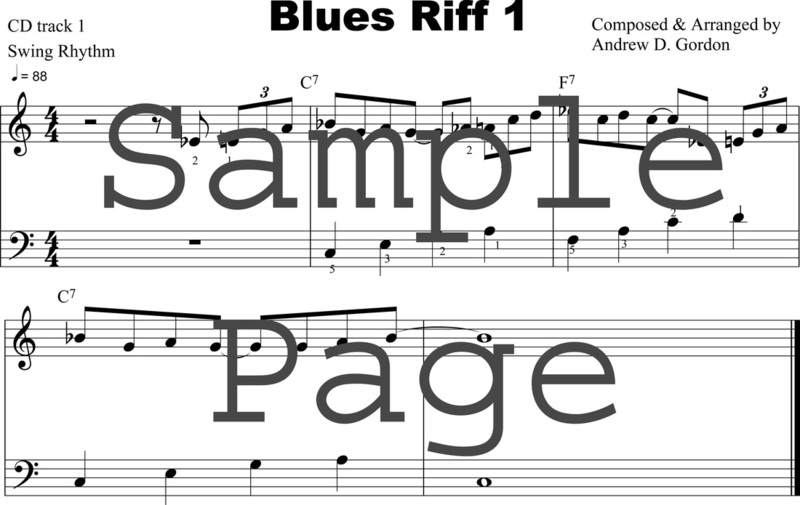 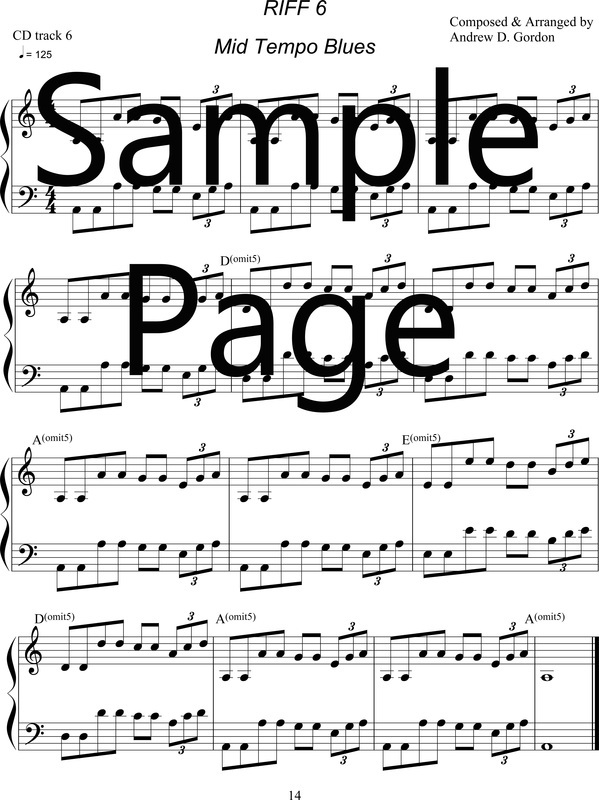 The examples on this page range from basic blues, boogie-woogie, gospel, funky blues, etc. 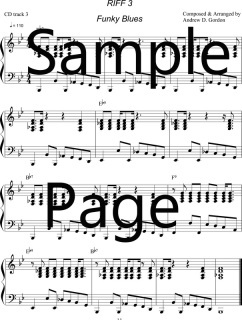 from beginner to intermediate and advanced level. 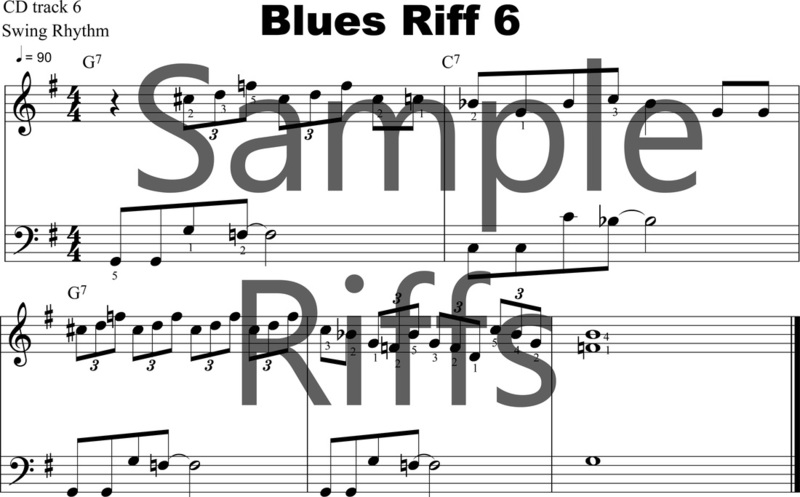 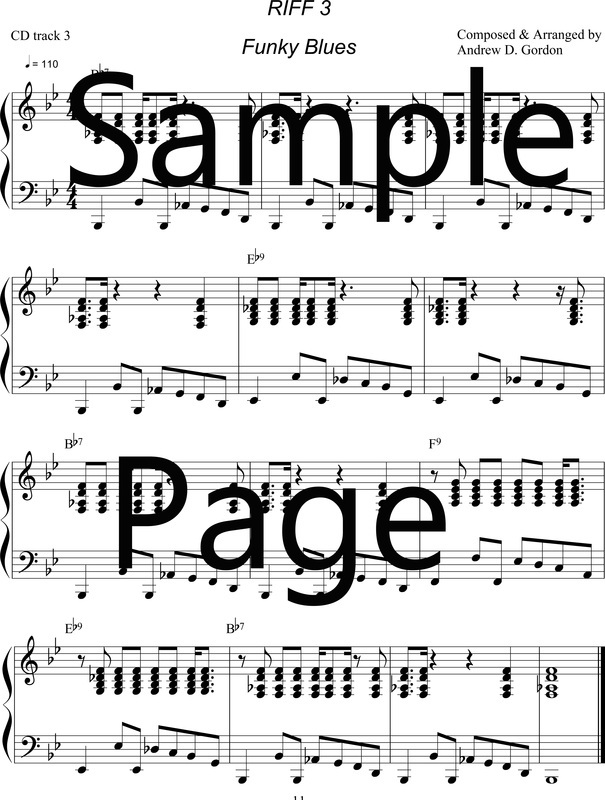 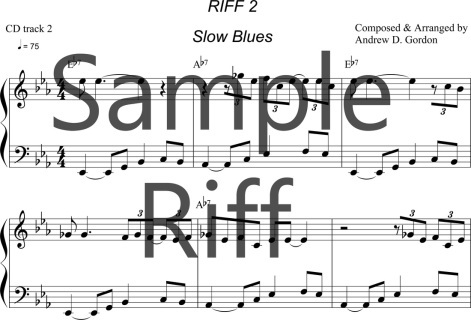 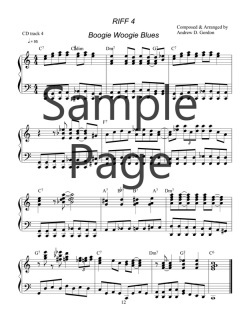 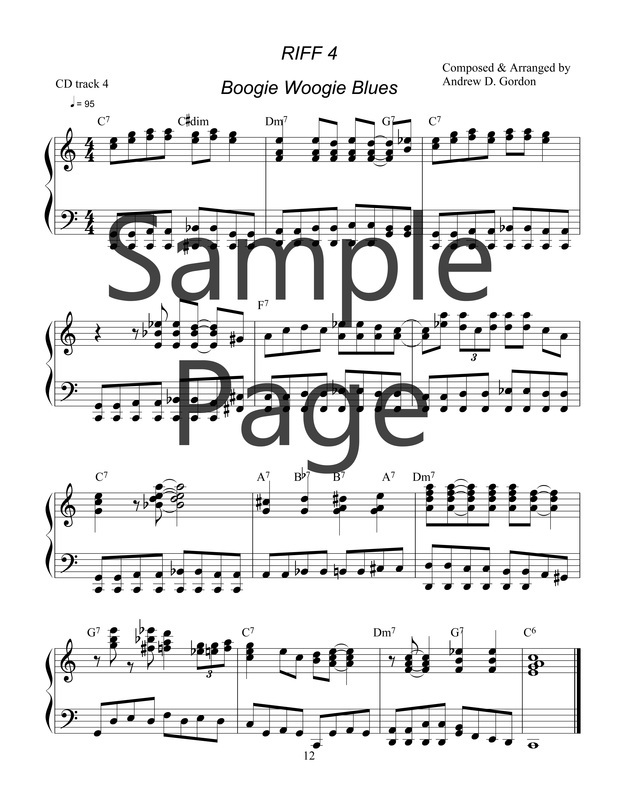 Each riff comes with the music notation in pdf, midi file of the piano left and right hand parts as well as drums, an mp3 file of the example and a video file that shows the music notation while the riff is playing.